The cellphone industry is an ever expanding marketplace that is constantly rolling out new technology as soon as it becomes available. It should come as no surprise that LG is once again leading the way with innovation with the LG DoublePlay™ . Aptly named, the LG DoublePlay allows the user to multitask by completing two functions at once, using two touch screen displays that can act in tandem or completely independant of each other. 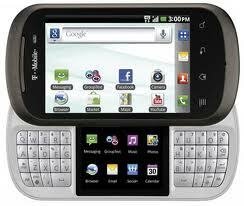 The DoublePlay is also a phone that is assuredly going to be a hit for the social netowrking savy. With multiple options such as Group and Cloud texting, the LG DoublePlay gives the user the ease of quick communication and group conversations, essentially turning this device into a mobile instant messenger for the on the go individual. Updating Facebook and other social networking sites simultaneously becomes a simple task. Ease of use is another wonderful feature, taking advantage of Swype, this phone has a very seamless and smooth touch screen keyboard. Touch screens not your thing? Thats okay, the LG DoublePlay also has a split QWERTY keyboard that conviently splits the keyboard perfectly, displaying the second display between them, for easy and fast texting. For anyone like me, who averages about 4,000 texts a month, this phone definitely makes texting simple. Lastly, and most importantly, the LG DoublePlay comes with a five megapixel camera that is capable of shooting videos in 720p HD, enabling the user to never miss a beat while capturing all of those exciting and special moments. Operating on the Android 2.3 OS, the LG DoublePlay has everything the social networking aficionado needs to keep everyone up to date on the latest news. I highly recommend going to the nearest T-Mobile store and giving this phone a look over and see just what the DoublePlay can do for you. ← No HTC Phones for America next year?